Vulcan GMS continues to invest in our future through our employees and our equipment. Vulcan has added a new computer controlled shaping machine or CNC router which doubles our capacity for plate and sheet machined products. This new CNC router has a 5 foot by 10 foot vacuum table and allows us to machine sheet product of any size on the table to tolerances of +/-.010″. Vulcan customizes routers to handle lead, but these routers can also process other metals and plastics for our customers. CNC routers allow us to offer features machined partially through lead or other materials with true 4-axis machining on plate; not 2D or 3D that can be achieved with laser or water jet. Computer controlled shaping machines are similar to their handheld counterparts but allow machinists to enter coordinates into a computer which then cuts and shapes material on the designated tool path. After customizing the router for handling lead and vacuum air flow to correct process materials, it is ready to be used in our machining process. Through our extensive experience in handling lead materials, we are also able to use 3D models to unfold your product or assembly which allows our engineers and programmers to develop the components needed to be processed on our routers. Our customers know us for our experience in lead, tungsten, tin and bismuth. However, we do offer more products and services beyond this for our customers. We can also cut aluminum, copper, steel, plastics and more through the use of these CNC routers. Please contact us for more information on CNC router cutting and how Vulcan GMS can put this experience to work for you. Such a nice router table. Great information on CNC routers. 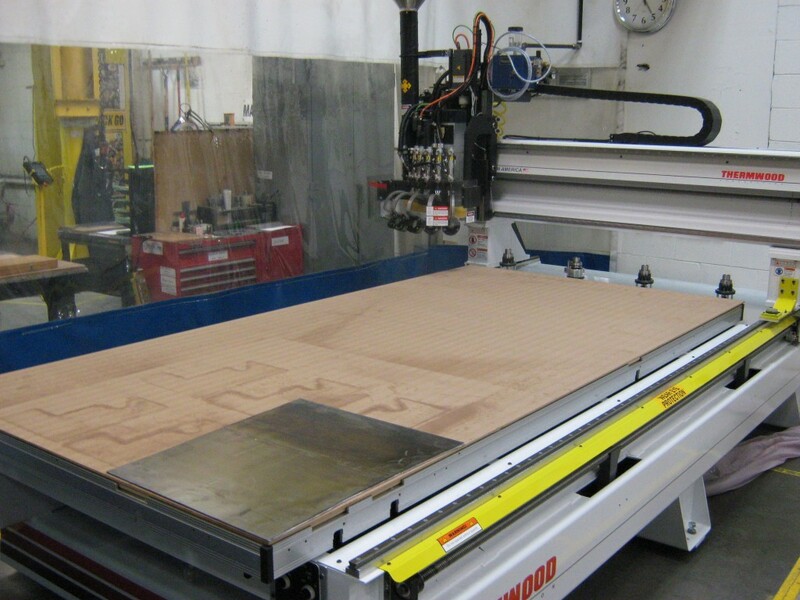 CNC routers are some of the most popular wood working tools. With CNC routers, even the most unique manufacturing needs are well met.